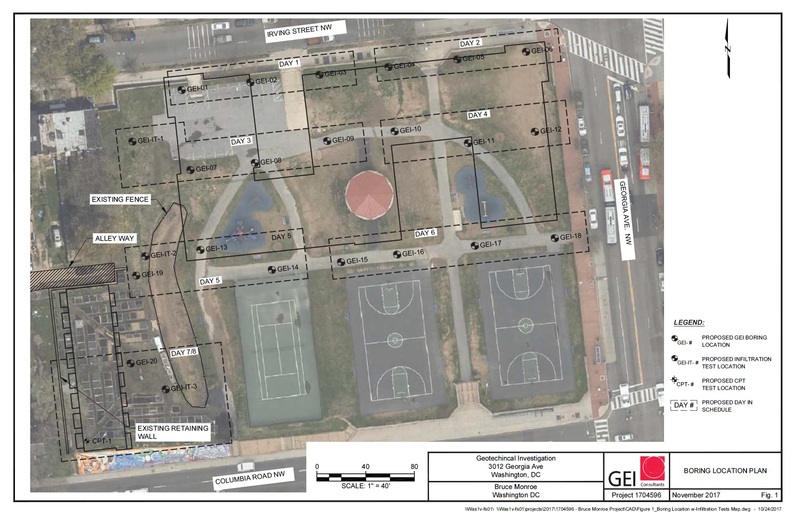 Soil Testing to Begin Soon at the Bruce Monroe Park Site | Park View, D.C.
Beginning next week, soil testing will be conducted at the Bruce Monroe Park site. These tests are a component of the due diligence required for the Build First residential development of Park Morton’s replacement housing. While the testing is part of the Park Morton effort, it is not the start of the project. 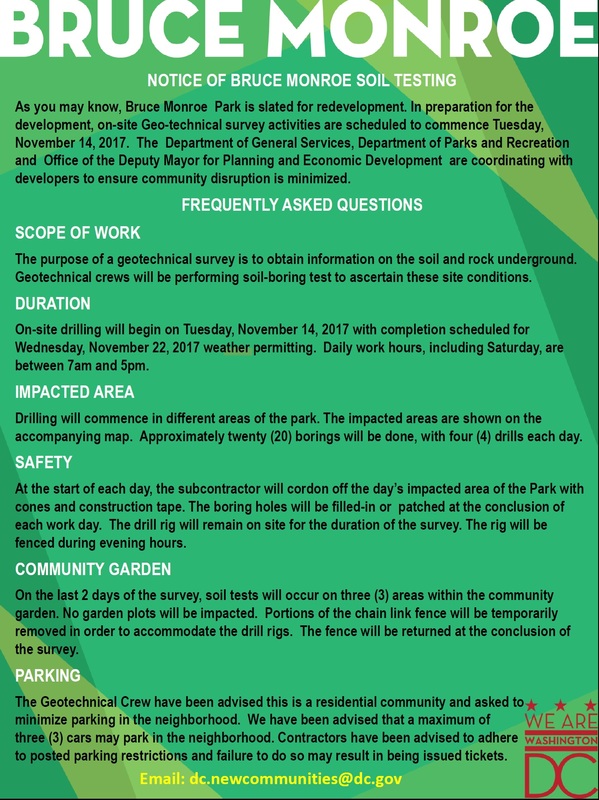 Rather it is a preliminary activity to better understand the soil conditions of the site. This entry was posted on November 10, 2017 at 7:01 am and is filed under Development. You can subscribe via RSS 2.0 feed to this post's comments.